Save the Harbor / Save the Bay bestowed its annual Boston Harbor Heroes awards at a gala evening held in the grand ballroom of the Seaport Hotel on March 29, 2018. 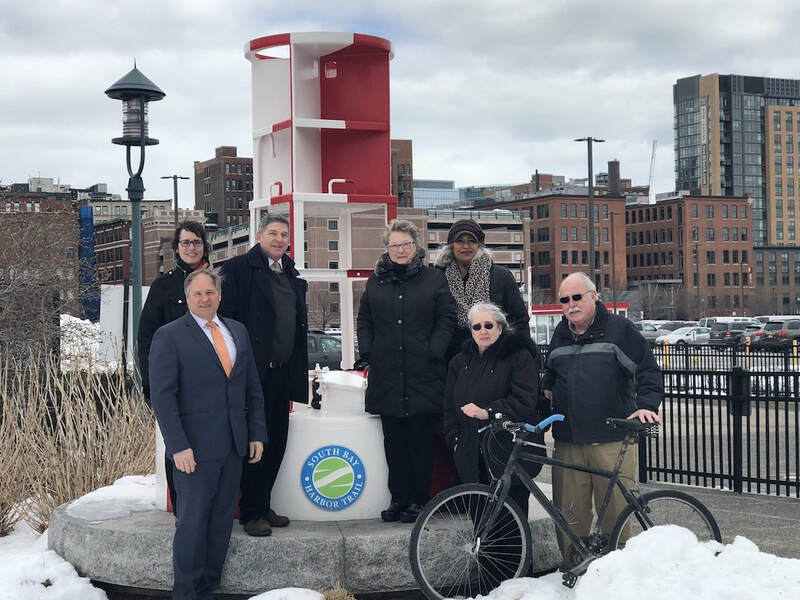 Among others, the South Bay Harbor Trail Coalition was honored for its "vision, tenacity and commitment to connecting Boston's neighborhoods to Boston Harbor and each other." 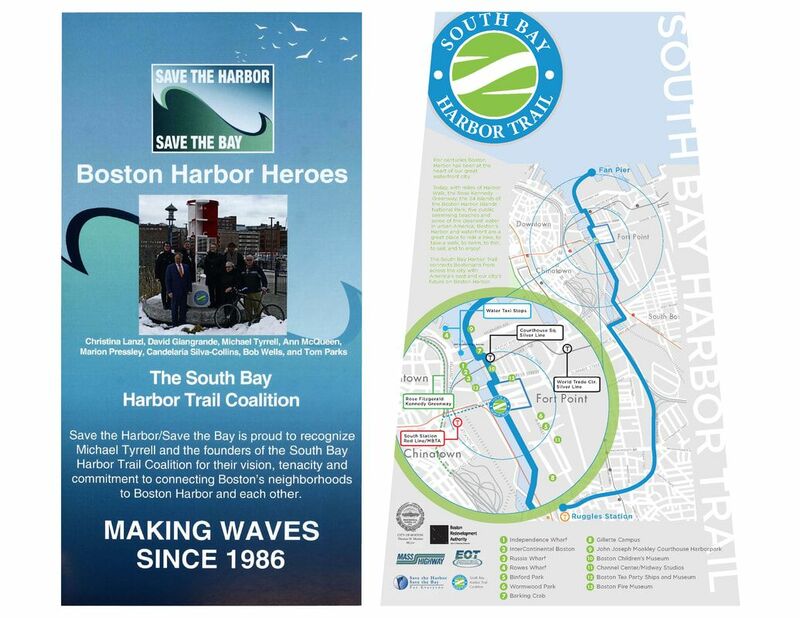 Under the leadership of coalition founder, Michael Tyrrell, the team of David Giangrande, Christina Lanzl, Ann McQueen, Tom Parks, the late Bill Pressley and his wife Marion, Candelaria Silva and Bob Wells envisioned the South Bay Harbor Trail (SBHT) ​as part of a larger trail network that connects the Southwest Corridor Park from Jamaica Plain to the Boston Harborwalk downtown and in South Boston. Buoys salvaged and reconditioned by the US Coast Guard serve as markers and a playful reminder of Boston's rich maritime history. The main goal is to reconnect communities divided by major traffic arteries via an easily accessible, multi-use bicycle and pedestrian path. 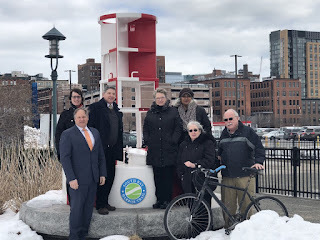 The first of a series of SBHT Buoys was dedicated along the Harborwalk in Fort Point in November 2008. Funding for public art planning along the trail was provided by the Edward Ingersoll Browne Trust Fund of the City of Boston. Other funders include the ISTEA program, MassDOT, the New England Foundation for the Arts as well as private donors. Overall construction of the South Boston Harbor Trail is underway as of spring 2018.